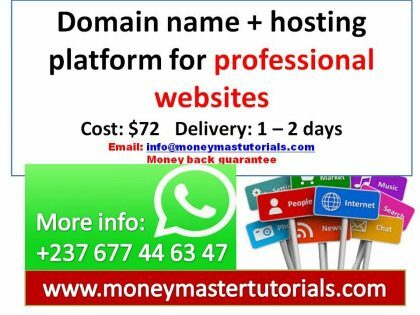 Want to make money online in Cameroon in 2019? 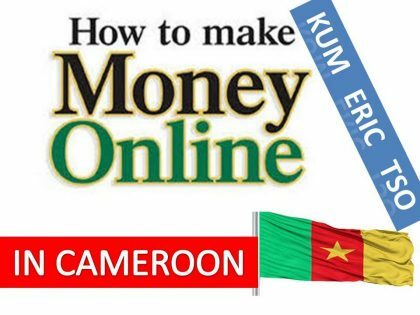 Here are the top 5 ways you can make money online in Cameroon right from the comfort of your home. I earn between 15,000 to 30,000 FCFA every single day from AdSense alone through my blogs. I equally earn from several other sources including affiliate marketing and my eBook sales on Amazon, Apple, Kobbo, Smashwords, and other platforms. If I can do it, then anyone can do it. Still wondering how? I’ll show you right away. In our last article on this series on how to make money online in Cameroon, we saw: How to make money blogging in Cameroon (over 500,000 FCFA per month) step by step guide. 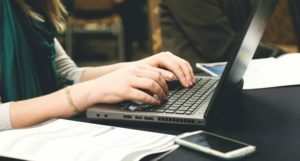 In this article I briefly shared my journey so far and six steps you could follow to start your blog and start earning money online. This detailed and actionable piece containing the top secret tips of my success so far will land you at roughly 500K or more per month. Today we will look at the top 5 ways you can use to start making money online in Cameroon. I mean huge sums of cash, not pennies. Blogging is one of the ways you can share your ideas and charms with the world. It is an online platform with which you can get readers as well as other bloggers to logon to your blog and browse through content. To become a blogger, you first have to decide what genre you will specialize in (niche). It could be music, reviews, stories, articles, scholarly essays, photographic and video graphic content, event coverage, jokes, riddles and lots more. There are many free blogging applications and websites available for grabs. WordPress, Blogger and Tumblr are the most common. They have features you can choose from to promote your blogging; to make it quite an experience. Once your blog starts to have a lot of traffic, having AdSense monetization on, your chances of making money online in Cameroon increase. Clients too will want to place adverts on your blog, and this earns you money like crazy. 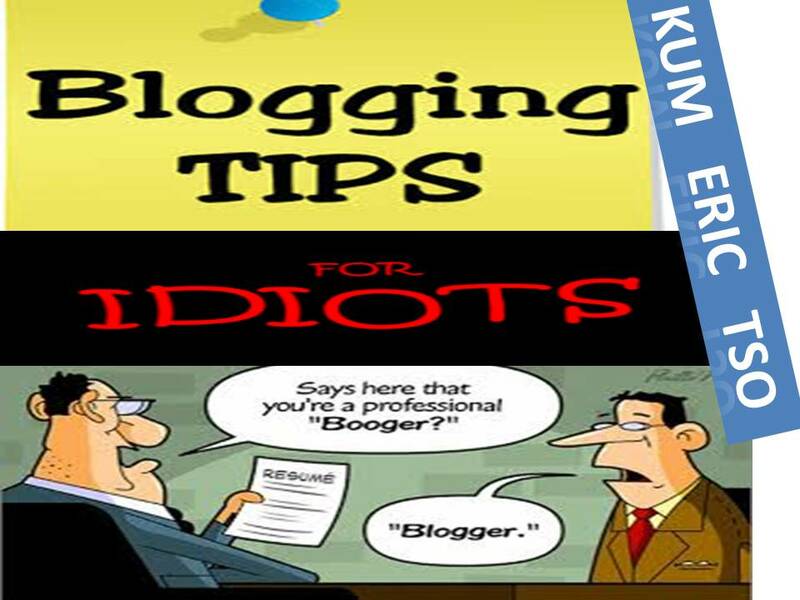 Starting a blog is quite easy and straightforward if you follow the right steps. Setting up a successful blog requires the 6 steps we discussed previously. If you were to ask the top 10 Cameroonian online earners or online millionaires what their favourite way to make money online was. They will all definitely say blogging. I mean those who earn around 500,000 FCFA every single month. Of course, this is equally my favourite way to earn a lot of cash online from home. As we discussed in the previous article in this series, blogging is your gateway to multiple streams of income. Blogging gives you access to at least 50 other great ways to make money online. There is no limit to how much you can make with blogging. However, despite the unlimited opportunities involved in blogging, very few Cameroonians actually cross the snake line. This is simply because they are doing it wrongly. 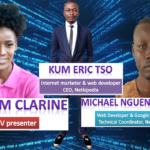 I identified three main problems with most young Cameroonian bloggers which include poor niche selection, poor monetization and lack of a traffic generation strategy. All these was covered in the previous article in detail. Can you imagine how many Cameroonian bloggers I have met who don’t even know how to place AdSense ads in their blog or have very little understanding of their AdSense dashboard? The worst one is some don’t even know what is SEO. Damn! Well, I’m not saying everyone should become a web developer and internet marketer like me but of what use is it to have an wholesome blog with great growth potential, and at times quality traffic (from the US, UK, South Africa, etc) but terrible Ad placement? Here is my point: There is no limit to how much you can earn but there is a process to follow. In all, the most important key to success in blogging is passion. If you are passionate about sharing wholesome content, then you have a great future in making money online in Cameroon. Once you are passionate enough to keep blogging until you see fruitful results, the next important thing is branding. You need to brand yourself by strategically placing yourself in a position to make money from your blog. 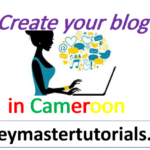 Though almost every Cameroonian that has the intention of starting a blog tends to make money from it, most of them run into chaos because they are doing it wrongly. Monetizing your blog should not be something that is difficult to do, it requires adopting some tips to effectively optimize your blog and ultimately becoming rich blogging in Cameroon. Affiliate marketing remains the fastest (not easiest) way to make money online in Cameroon. Affiliate marketing is an e-commerce platform that can get you much more money than you can possibly imagine. It simply means you get online and help producers market their products. Once you do this and get sales, the producers pay you off for your services. In dummy term: Affiliate marketing means sending visitors to another person’s website; if they buy a product or service, you get a commission. But if they buy nothing, you get nothing either even if you sent a million visitors to that website. All you actually do is serving as a middleman between the producers or retailers and the customers/consumers. When you do this rightly, you are an affiliate and your efforts are duly rewarded. All you need is to find the right words to craft spellbinding and convincing descriptions to attract customers. There is a network in charge of getting brand producers and affiliates contacted to do such business. This network serves as a liaison between them, and is also the platform that gets you your payments. As an individual looking to make money online, click away and find the platform that best suits you in becoming an affiliate or in another term, an affiliate marketer. The liaising network makes sure that clients are genuine and that you are paid in accordance to ratings and agreements. You can also write reviews for products and services of a particular brand and get paid. All you have to do is be original and creative enough to bring more customers on board. This will boost your level of recommendation, and conventionally, your funds are boosted too. Go online, find an affiliate marketing platform and sign up to become an affiliate. It is pretty easy and it requires very little but surmounting efforts. 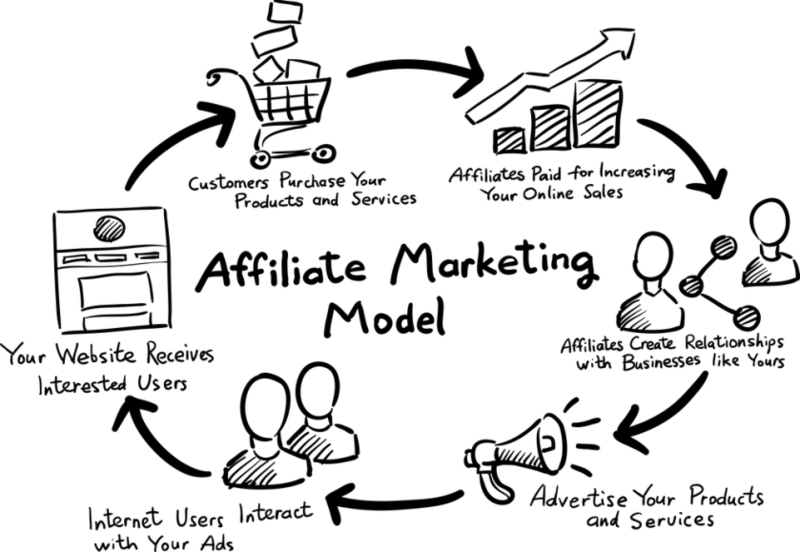 There are a lot of them out there, and so also, there are a lot of retailers waiting to get the best kinds of affiliates online and market their products fast and effectively. Getting a formidable count of clients may take some time, but the reward in the end will wow you because every day, new products and services are created online and they are all in need of marketing. Cashing out is made easy so no worries. Just go and affiliate. You can check out Commission Junction, ShareaSale, ImpactRadius, Jumia, Amazon, ClickBank and PayGear. Generally, succeeding on these platforms often require a lot of experience and finding the right products to promote is often a big problem. The good News is that there is a program that walks you through everything you need to succeed in affiliate marketing from any part of the world. This program entails a little investment but it’s absolutely worth it. I’m talking of The CB Passive Income. This is what every top affiliate marketer is talking about right now. Every time someone needs a source of additional income, most of the suggestions come in the form of getting a part-time job. But what if you find a way where you don’t need to go to another place for a job and spend your time or energy in putting extra hours. CB Passive Income might be the solution to it. CB Passive Income by Patric Chan is a product which is an affiliate marketing training course and the creator claims that this program will teach the members how to set up an online business system that makes money without any looking after. As, CB stands for ClickBank and as the name itself recommends, this internet marketing model circles around endorsing ClickBank products to the subscribers and earning some good money in form of commissions. The CB Passive Income system is based on promoting Clickbank products as an affiliate through a “Secret” webpage. The idea is to build a small website, providing an opt-in form, gathering email addresses, and then sending affiliate products to those subscribers. While we are doing this CB Passive Income review 2019, let me give you a peek into how CB Passive Income has evolved until version 5.0. CB passive income by Patric Chan was first introduced in August 2013. Patric Chan is the creator of this program and he further updated versions of CB Passive Income as 2.0 in 2014, 3.0 in 2015, 4.0 in 2017 and 5.0 in late 2018. Over the course of time, the creator added more and more training, tools and resources to this program. For instance, in 3.0 version of CB passive income, multiple landing pages together with ‘AI Optin Detector’ were added. This AI Optin Detector is basically used to recognize visitors who are already on your Email list and it’ll show them a different landing page to endorse other objects and monetize it. (prospect) Facebook account. Essentially, the visitor will use the same email address to opt-in to your list which he or she uses for getting access to his or her Facebook account. It is a very effective feature and it really increases your conversion rate. Based on the affiliate marketing principles. Email Marketing is the method used (#1 Internet Marketing channel). Creator, Patric Chan is a reputed IM personality. User-friendly course, especially for the beginners. 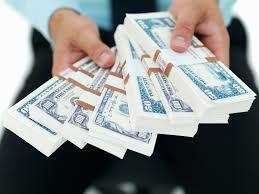 One of the longest running ‘make money online’ program. 60-day, 100% money back guarantee. Might be difficult to get organic traffic for the beginners. Have no control over which product to promote. Need quite some time for initial set up. I don’t think we can consider these cons and ‘cons’ considering this program works on a proven method and thousands have already learned the do’s and dont’s of email marketing over the years. As I already mentioned in this detailed CB Passive Income review, Patric Chan is the creator of this program. He is a best-selling author, online entrepreneur, worldwide speaker and so far he has helped thousands of students learn about entrepreneurship through his live sessions, training courses, books etc. He is also a co-author of the book Clicking Cash with New York Times Best-selling author, Robert G. Allen. In addition, if you go through the official website, you will find out he has received several testimonials from common men to large business tycoons. Indeed, there is a billionaire who is a member of Patric’s fan club, Bill Bartmann, who became the 25th richest man in America. Patric Chan has been invited to many countries, forums, and summits to share his views on internet marketing. Furthermore, he accepted a challenge in renowned, ‘World Internet Summit Seminar’ in 2006 and made a sale of over $36,000 in 3 days! How to Make Money with CB Passive Income? Step 1 – First step is to bring more traffic to your landing or opt-in page. Step 2 – Offer the visitors with a free gift to get their attention and add their Email address to the subscribers’ list. Step 3 – Continue to stay in touch with the subscribers and build a trust-based relationship with them. Step 4 – Then you begin working on monetizing your list by sending promotional Emails to your subscribers telling and recommending them about appropriate affiliate products. 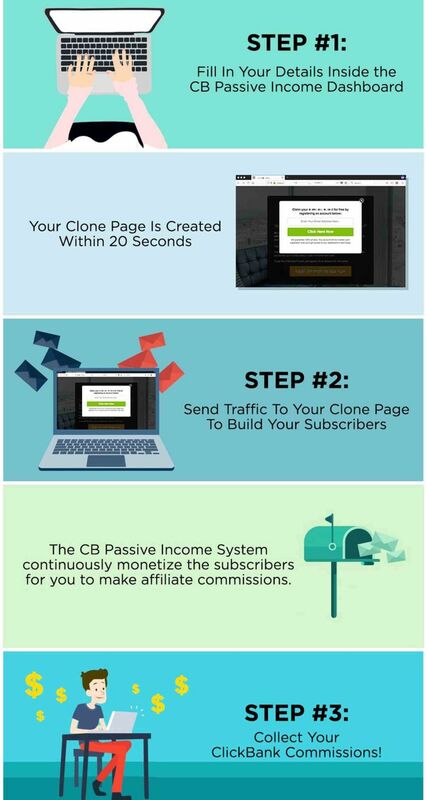 When it comes to CB Passive Income, according to CB passive income reviews and the creator Patric Chan, his product will automate the steps 2 to 4 for you and you would just have to complete step no. 1, which is to bring traffic to your landing or opt-in page, fortunately, the program also has a feature to buy more traffic. For many who do not have much experience, getting traffic can be a major hurdle in the online marketing business. However, CB Passive Income does offer some training resources to teach you about how to generate traffic. When you join the program, you are delivered with a number of pre-made landing pages that also have free product offers for the visitors. You will be promoting your landing page using social media platforms, YouTube, Bing, or by hiring paid traffic services. You can promote many landing pages at the same time. In order to get the free product, your visitors will have to subscribe to your mailing list. After that, Patric will send the follow-up emails or newsletters to your subscribers. Those letters will comprise the offer regarding some particular product available at affiliate network, Clickbank. When your subscriber purchases a product, you will receive a commission. 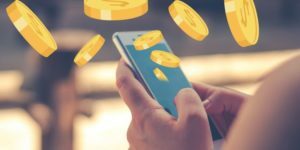 Who should use CB Passive Income? While CB Passive Income will do most of your job, you would still have to put in your energies to drive traffic to your landing page and that is where experience comes in handy. As I already mentioned in this CB Passive Income review, Even though Patric Chan does provide some material to help you drive the traffic, you are the one who would have to make some real efforts. Although anyone can use this product, it would be advantageous to have some experience. So if you want to use this program, you would have to commit yourself to it and make an honest effort to learn, follow the instructions and efficiently make use of the CB Passive Income License Program, you would be making money from the internet in a very short time. I and my colleagues are still using it and I gotta say, its one of the best programs I have ever joined. 1. Training – CB Passive Income provides training regarding how to generate traffic. They will teach you about both Free and Paid traffic generation methods, for example, SEO, Ads, Social Media Marketing, Paid Ads, YouTube promotion, and more. Nevertheless, they are all very basic and you can finish your training in just a day or two. They also teach about adavance Email Marketing techniques. 2. Tools – CB Passive Income in itself works as a tool. When you become a member, you will be able to get our own landing or opt-in page with exclusive URL. They also provide with a bonus tool, The Digital Cover Creator. It helps you in creating a professional cover for your Free offer. 3. Support – CB Passive Income also offers a great support system for its members. Is CB Passive Income better Than Inbox Blueprint? Before we start with CB passive income vs inbox blueprint in this CB Passive Income review, you should know what Inbox Blueprint is. Inbox Blueprint is an all-inclusive Email Marketing course with lots of resources created by Anik Singal. It concentrates on helping people learn about how to build a list of Email subscribers from the very start and monetize it. Sounds quite familiar to CB Passive Income? Foundation of both programs are same but there are some major differences. Inbox Blueprint is way more expensive than CB Passive Income. Inbox Blueprint has a lot of training modules to get started, but in CBPI you can start right away. You have to set up your own autoresponder, email swipes and find freebies in Inbox Blueprint but all these steps are automated in CB Passive Income. 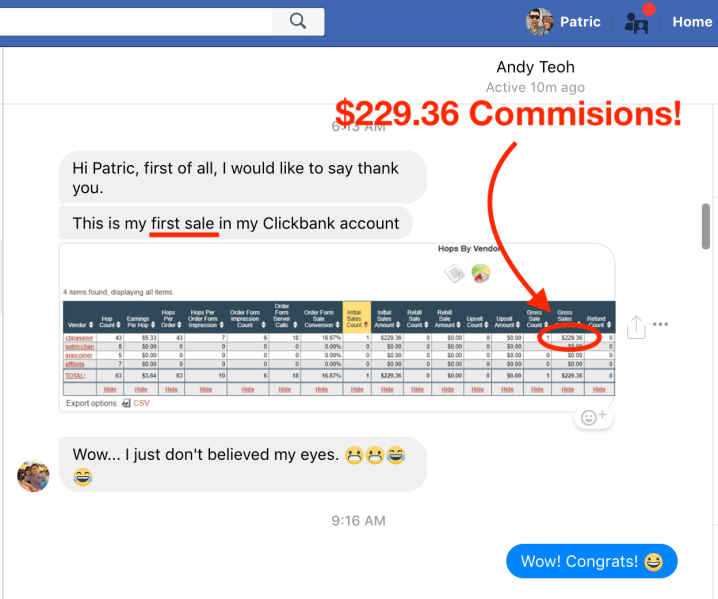 You must have at least a couple of thousands to start with Inbox Blue Print to drive traffic but a minimum of $100 would get you good traffic in CB Passive Income by Patric Chan. I would never say Inbox Blueprint is not worth joining though, it’s very advanced. I have also tried it and the amount of learning material you get inside is tremendous. But I’ll always recommend CB Passive Income to any newbie who is dreaming of profiting in his online business very quickly. The answer is no. It is not a scam. Patric Chan’s longest running program is not only quite affordable but also offers a 60-Day Money-Back Guarantee. Although it might not be the best email marketing program out there, this program is effective and offers a legit chance to start your own profitable online business. Some good things that make it more legit are that it has been ranked among the top 3 affiliate programs on ClickBank from 2013. What is more, Patric has been invited to ClickBank’s headquarters for completing five years running the most successful course of all time! Is CB Passive Income worth Buying? Yes. CB Passive Income has been around since 2013 and now it’s on version 5, displaying that the system is quite established and continuously improving its functioning. You can read all the CB passive income 5.0 reviews avaialable online and I bet you won’t see a totally negative review. In addition, Patric has some awesome testimonials and he is a best-selling author. And what makes this program more credible is that it makes realistic offers. It does not promise to make you rich overnight and it will help you improve your own efforts. With the version of 5.0, you get to enjoy some bonuses including insider tools & training membership worth $20/Month, 15 months of fast cash series archive worth $705, 3-month traffic to income masterclass worth $997. Also, you can get the membership at $47 per month or a discounted $497-lifetime plan, including a 60-day money back guarantee for the current version. Passive income is perhaps one of the most effective ways to get some good money without putting too much of your time into it. The CB Passive Income for 2019 offers you to do just that where you can make the money even in your sleep. While restricted in some aspects, it can still be quite effective and might give you what you are looking for, and you get a 60-day money back guarantee. Won’t hurt to try it huh? I make quite a good deal of money online in Cameroon from my eBook sales. This, to me is one of the best ways to make money even while you sleep if done rightly of course. Many people make money online by writing eBooks, especially writers, reviewers and small scale publishers. eBooks are gradually replacing the hard copies. Students and readers now develop the technology of scouting for eBooks online, rather than going through the throe of seeking hard copies. There are a lot of ideas in your head that you want to share with the world. In the course of sharing those ideas electronically, you can make money online by selling to the whole world while in Cameroon. One of the phrases associated with this topic is ‘freelance writing’. Freelance writing requires you to write and sell eBooks for clients in line with their demands and needs. There are many platforms on which you can do this. They include Fiverr, Content, ProBlogger, Indeed, etc. These sites link you up to clients who order for an eBook and pay you off upon completion and submission. Also, you can write eBooks with really interesting content and put up on your blog if you have one. In doing so, subscribers will download them and read, and your prospective clients might just be one of those subscribers. Personally, I sell my eBooks directly through major eBook retailers like Apple, Amazon, Kobbo and Smashwords. But for your eBook to be accepted in any of these premium platforms, you need some extra technical work in formatting the book. Basically, an eBook is different from a print book. The table of content should be navigable. You should be able to click on, let’s say, chapter 5 and navigate directly to chapter 5. You should also be able to get back to the table of content with a simple click. Another factor is the cover. Mobile covers are designed specially for mobile device. The best place to start out as an eBook writer is Smashwords. eBook designing can cost up to $300 if you went to hire a professional online. Most Cameroonians have their eBooks designed professionally through MMT Offers at BTRG Inc.
Once you have established yourself as a professional and reliable writer, your clients’ number will begin to increase and payments will start to flood in. The secret is for you to make your eBooks as compelling and original as possible, no copied or plagiarized contents. There are many online platforms that are in need of eBooks to make the sites flow with traffic. Find them and offer your services and make that money. If eBooks are published on your own blog, chances of you getting more pay and subscriptions will be beyond measure. You can write an eBook about a popular matter and put it up for sale. Chances are you will get big buyers and make more money than envisaged. I’m not saying you should write about the Anglophone crisis. But who says you can’t? One of the fastest ways to make online in Cameroon without investment is to sell your services directly online. If you have something you are good at and will like to find new clients online, then this is an option. 80% of BTRG Inc. clients come from online. I started this company by simply listing my web development and internet marketing services on my blog. I got hired by two church organizations within weeks to build and manage their websites including their YouTube channels and social media platforms. I had to equally help them out with YouTube monetization. At first, it was limited to these few services. But I later started having web design clients, eBook design and many others. You can simply create a portfolio or professional profile on your own website to promote your services or business online and increase your chances of getting hired. Alternatively, you can list out your services through freelancing sites as seen in the previous point. I know Cameroonians who get hired online to do tasks like create Facebook pages, create websites, promote social media platforms or do some chores offline. Virtual assistants are people who, with the aid of computers and phone links, act as an aide or personal assistant to someone or a group of people that are usually far off. 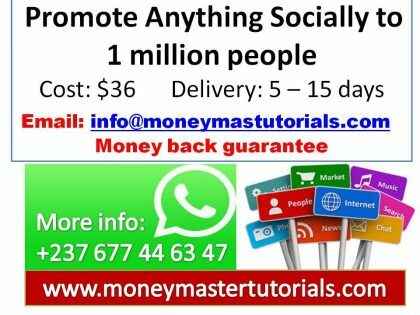 This is definitely one of the coolest ways for internet addicts to make money online in Cameroon. The internet is the medium through which both parties communicate – the virtual assistant and the virtual employer – come together. Virtual communities are fast growing, competing with real life organizations and business places. Virtual assistants sit in the comfort of their homes and give necessary assistance online to an employer. Making money online in Cameroon as a virtual assistant requires you to look for openings in a field that you already know about. Also, be open to changes and try different things to satisfy your clientele. – Acting as a missing officer between brands and their customers. These are great ways you can get your foot in the door, earning hourly, weekly or monthly money. All the services you will render will be online, and you can be able to render them from the confines of your comfortable home. Imagine you working for companies in America, UK, etc right from your room in Cameroon. 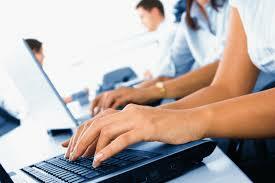 Virtual assistance usually involves marketing support, which you can get from many sites and platforms. Upwork, Elance, Problogger, LinkedIn, and lots of others are sites from where you can acquire this job. You can start them off as a side hustle, but keep pressing on. Sooner or later, the amount of dollars you will start earning will wow you and you will want to share your story as well. You can build a website or blog for this as your own business domain where clients can come seek for your services. Your money will just start rolling in in less than a few weeks or months. Mine was weeks! The trick here is to be really confident with work you are given. When you give descriptions of your services, just be persuasive, and look professional. In doing so, you compel clients to employ your services and pay you continually, and even bring other clients to your doorsteps, wanting more services. Vlogging simply refers to a blog that publishes mainly video content. You can start publishing your funny videos, your selfies, tutorials, sermons or anything on your YouTube channel and then monetize it so that YouTube will start displaying Ads any time someone watches your video. If your videos are popular, then you are in for quite a lot of money. But in order for YouTube to approve and monetize your YouTube channel, you need to meet certain requirements. This is such a powerful way to make money online in Cameroon that is obviously neglected by Cameroonians. Nigerians, on the other hand, are ripping millions of naira every single month from their YouTube channels and vlog. Imagine how Nigerian comedians, musicians and Nollywood makes money today! YouTube, of course. There are two ways to make money as a vlogger. You can either create a vlog (video sharing website) or a YouTube channel and monetize it. Monetizing your vlog can be pretty easy especially in the case of YouTube but there is a big problem. 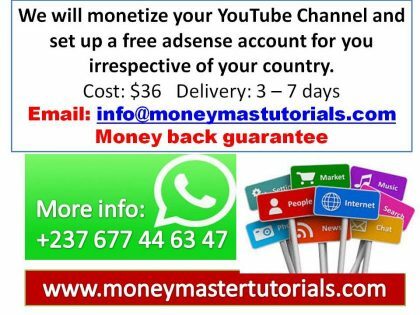 YouTube monetization is limited to a selected number of countries and that excludes most African countries including Nigeria and Cameroon. But how do Nigerian and Cameroonian youtubers manage to get around this rule? The answer is simple. You find an internet marketing company like BTRG Inc. and they help you set this up within 24 hours. 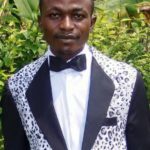 These are my favourite ways to make money online from Cameroon. Now, scroll down to the comment section and tell me what your experience has been like in making money online. Also, leave any questions you may have for me and don’t forget to subscribe if you haven’t to receive the next tutorial by email. Thanks.